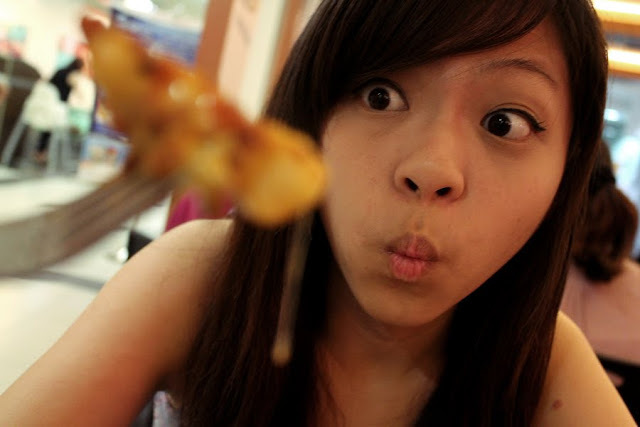 It was some times back when Peiyi and yours truly decided to get some light bites after a movie. After mulling for a few minutes, we decided to settle for Eighteen Chefs, a brainchild of former drug addict and convict, Chef Benny who believes in providing a positive working environment and experience for troubled youths and ex-convicts. Hence, do not be alarmed when a young man, full of tatoos is serving you. What a noble cause! With students and youths as their targeted patrons (discounts or specials when you display your student pass etc), I wasn't convince about the food quality. Perhaps of previous bad experiences, I do not trust them as much. Eighteen Chefs surprised me. I wouldn't say that it was exceptionally good, but it was considerably above average, given that most of their dishes are value for money. 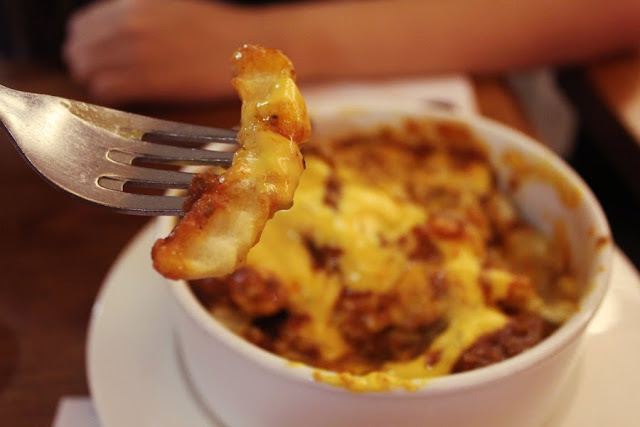 Down to the food, we ordered the Bolognaise Cheese Fries (S$4.90) - mozzarella cheese-baked fries topped with classic beef bolognaise sauce. The fries portion was generous and I assure you that they neither scrimp on their sauce. With the flavour incorporated to every single potato fry, this afternoon snack makes the cut to be one of their signature dishes. Do note however, that the cheese fries are really filling, so it is recommended to share this among 2-3 people, if you are eating it along with their mains. 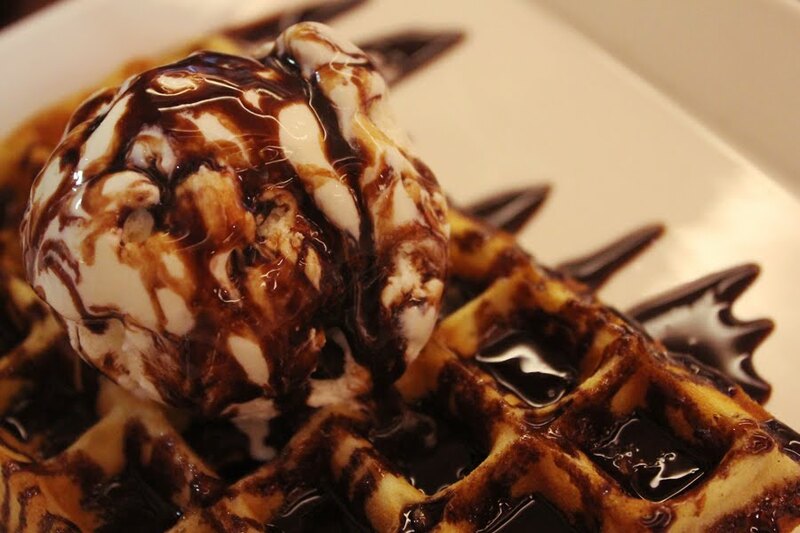 The Waffle w/ Vanilla ice cream (S$6.50) topped up with chocolate fudge was okay. While the Belgian waffles is a little too cold for my liking, the generous drizzle of chocolate fudge is a plus point. Eighteen Chefs also provides customized pastas or cheese baked dishes, where you D-I-Y your meals by choosing from a wide selection of sauces and ingredients, and they cook it for you.